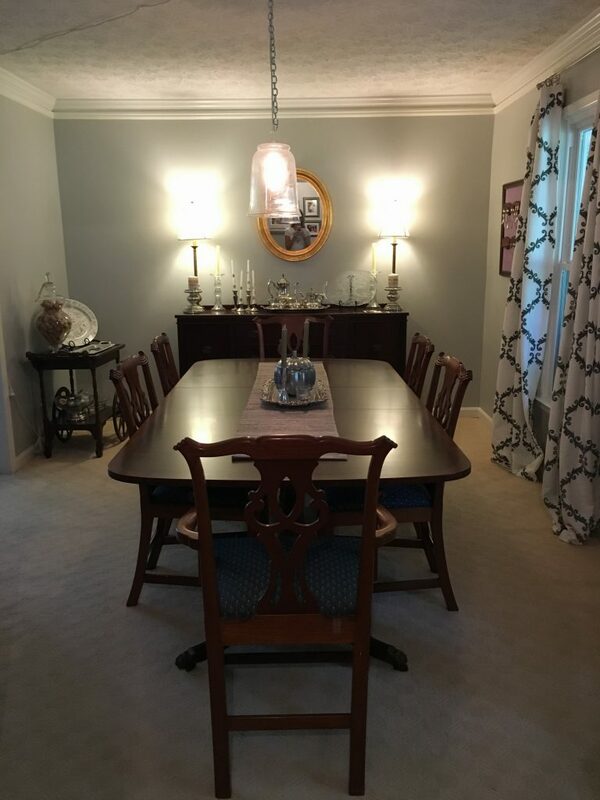 One of the things on my list was to put my dining room “back together.” I may not have shared that last May my parents loaded up our family piano and drove it to Austin for my older sister, who is experiencing a renaissance of sorts and was longing to tickle the ivories again after many years. The piano was given to us as children by my grandmother and we all played growing up. 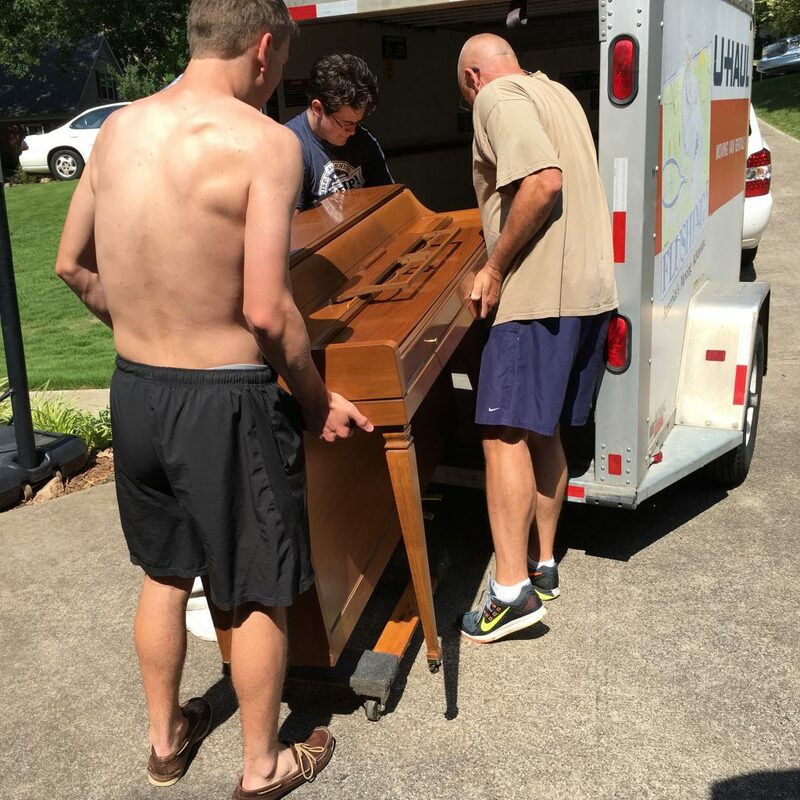 When I moved into my house 18 years ago, the piano came to me so my children could play. 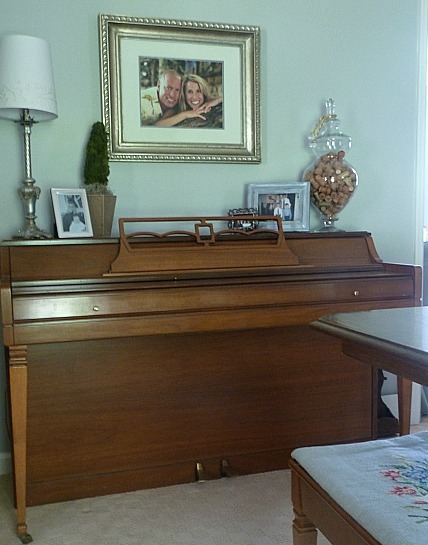 As time marched on, the only space we had for the piano was in our dining room. And while it worked okay in that space, it was taking up valuable square footage. We enjoyed it for many years, but my daughter is the only one that embraced it long term. And so it sat for a few years, virtually untouched. Anyhoo, when my sister expressed a desire to have the piano if we were no longer using it, I was happy to turn it over to her. After all, it should be enjoyed. And then in the flurry that was getting Legacy’s doors open for the school year, my dining room sat, somewhat pulled apart and with a large blank wall where the piano used to be. I might add it also became a dumping ground staging area for the college-bound/grad school-bound people and so putting it “back together” wasn’t really an option until recently. Enter gray and rainy Sunday and I decided it was time to get it put to rights! 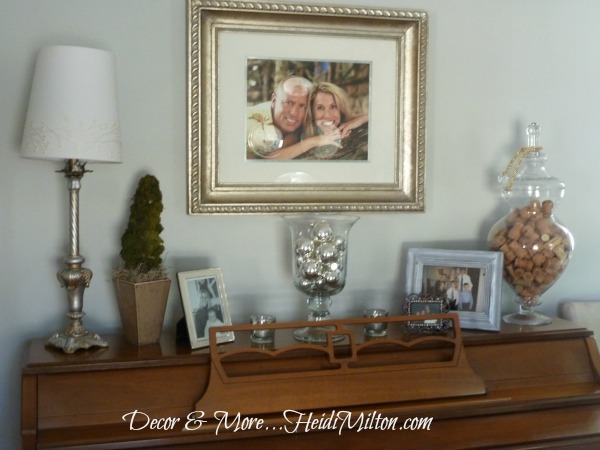 I always felt the back wall with my grandmother’s sideboard was a tad crowded. The above pic is from a few years ago when it underwent a major makeover — a few things have changed since then, but the furniture layout was the same. It’s a good size room, but I had lots of pieces of furniture in there. The new found space after the piano vacated is just what the doctor ordered. 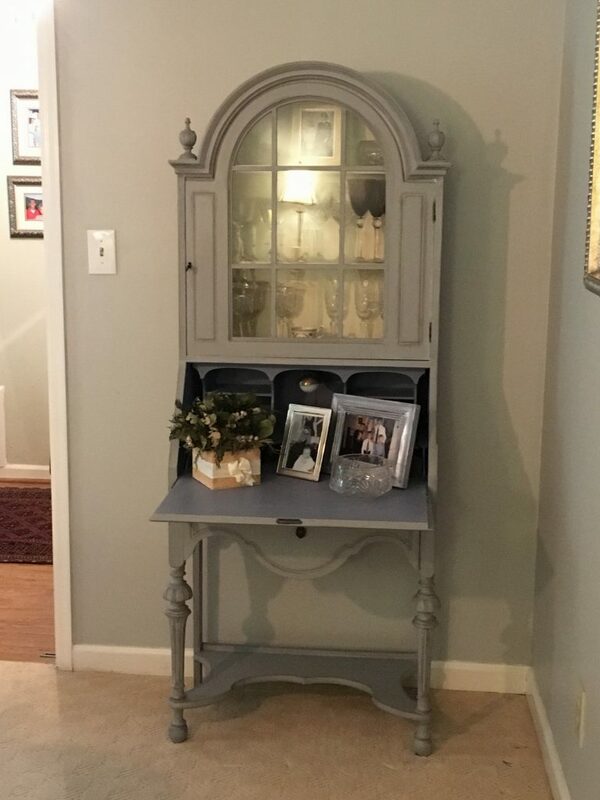 So I shifted my sweet little chalk painted secretary into the same corner the piano was in, but put it on the adjacent wall. It’s a great spot for the little girl! If I need to add the second leaf into the table, I can always close the secretary so we have more clearance in that corner. Then I moved my antique tea cart (inherited from my great aunt) into the spot where the secretary used to be. 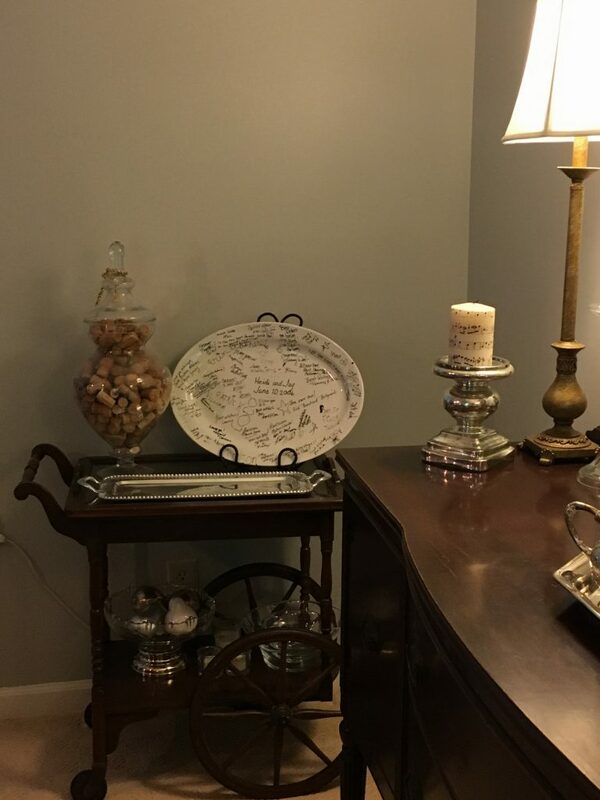 I think now I’ll mount our wedding day platter on the wall above, so the tea cart can become more of a functional bar cart. 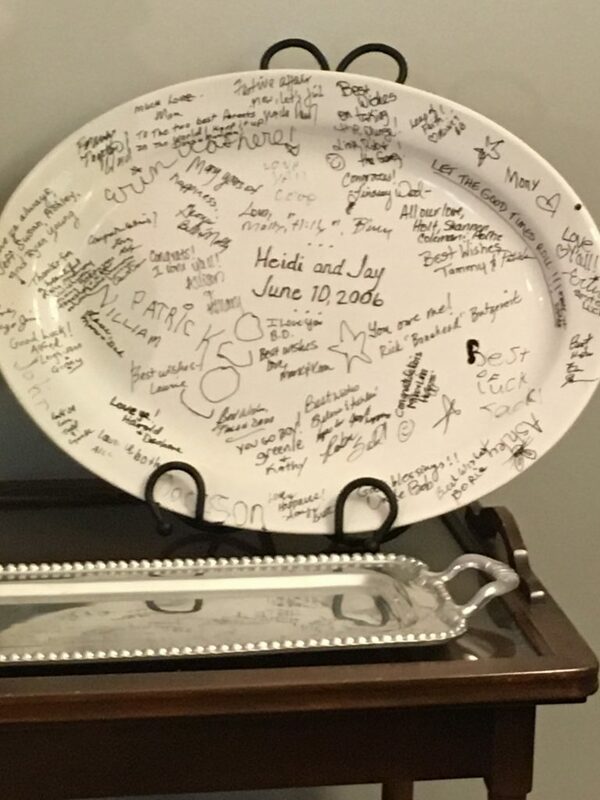 This is one of our favorite keepsakes from our wedding day — I love seeing what our kids and young nieces and nephews wrote! Sorry for the slight blur — it’s an iPhone pic. 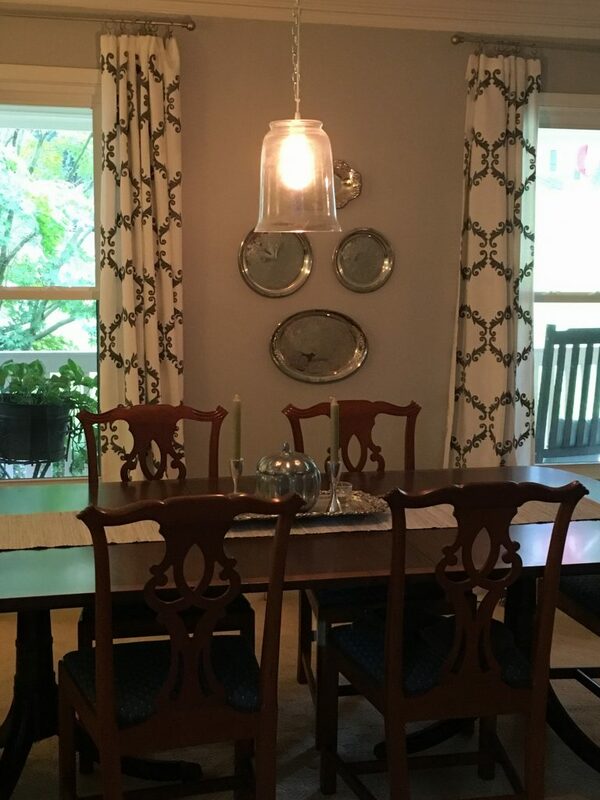 My silver platter wall still looks the same… my sweet mom polished them all for me right before Jack’s graduation party and they’re still gleaming! But you may notice our table and chairs are different than the photo from a few years back! 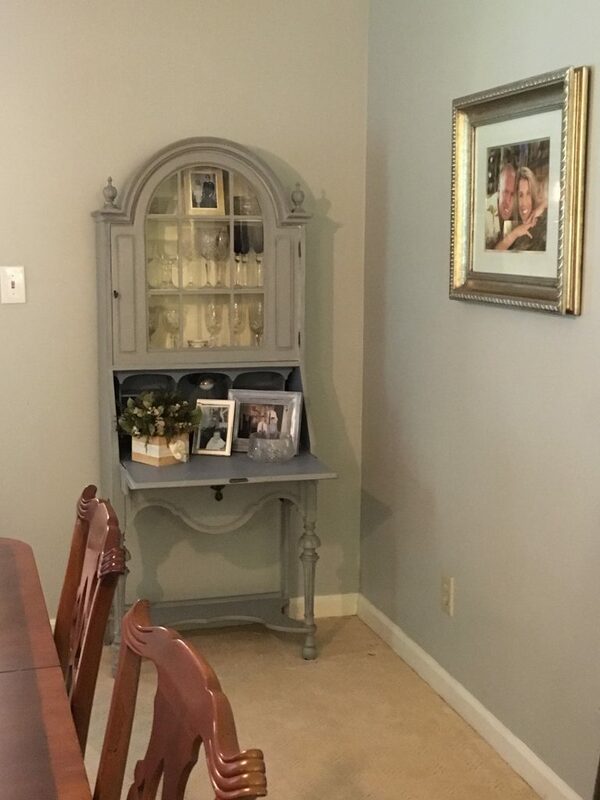 My mother-in-law decided we needed her table and chairs since she was no longer using them. In fact, they belonged to HER in-laws (my husband’s grandparents) so there’s some awesome history in those pieces. 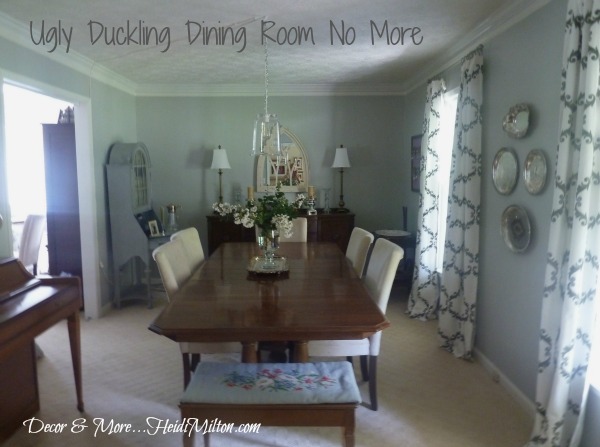 She had the table refinished for us, but I still need to reupholster the chairs (on the list!). They are beautiful pieces and the table expands with 2 leaves so it seats a crowd comfortably. I’ll be adding some fall touches to this room soon, but for now, it feels so good to have it put back together, vacuumed and organized! I’ll get some better photographs for you, too, I promise! There’s a better balance in the room, too, which always feels good, no? When I walk through it or past it I feel like I can breathe now. If you have any questions about the space ask away in the comments! Heidi, it has such a serene feeling…I love it!